One of the great irritations about freedom of speech is that the people who demand it most are the ones who deserve it least. The very worst, I reckon, are the oxygen thieves who demand complete freedom for themselves but try to silence others. Oliver Hotham wrote an article about Straight Pride UK, a group of people who - in their own words - believe that everybody should be able to "speak out against something they do not like or support". 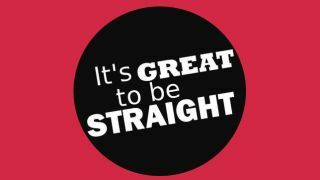 Unless that something is Straight Pride UK. When Hotham published his article, Straight Pride UK contacted his web host quoting the Digital Millennium Copyright Act (DMCA), claiming that Hotham was infringing their copyright. They demanded that the article, a straightforward Q&A featuring the written answers they provided to his questions, be removed. Hotham's web host, Wordpress.com, caved - and then Straight Pride UK contacted Hotham again demanding he remove all reference to the organisation from his blog. That's when Hotham lost his temper and decided to tell the internet about his story. It's beautiful, really: Straight Pride UK is now getting a lesson about a gay icon. The group's actions have created a textbook example of the Streisand Effect. One of the big problems with removing illegal content is that the mechanisms for getting shot of it can be abused. The EFF has been documenting this for years, with supposed anti-piracy laws being used to crack down on journalism and genuine scientific research, to hinder competition and to prevent disclosure of serious security issues. It's often used in cases of corporate embarrassment, such as when US news station KTVU told viewers that the crew of crashed Asiana flight 214 were Sum Ting Wong, Wi Tu Lo, Ho Lee Fuk and Bang Ding Ow. Oliver Hotham wasn't infringing any copyright, but it's easier for web hosts to take down any allegedly infringing content automatically than to investigate it. It's not just copyright, either. If something can be used to silence legitimate speech it will be, whether that something is the threat of libel action or a report abuse button on a website. Twitter's abuse button has already been used to take down a perfectly legitimate account, @transphobes, which exists to raise awareness of abuse levelled at trans people. As @transphobes told Twitter, the key takedown requests came from people "whose selected tweets, **which already violated the Twitter Abusive Behavior Policy**, were highlighted for their abusive content and wished not to have this attention refocussed in a retweet or favorite. Most of their accounts remain active, despite tweets inciting actionable claims like murder, sexual assault, or wilful malice toward people who are trans." You've got to feel sorry for the content providers. The volume of takedown requests and abuse reports is massive - to take just one example, the copyright holders' group Degban has asked Google to remove 32,188,962 URLs to date - so the process has to be largely automated. If it wasn't, many of the services we take for granted simply wouldn't be able to operate. But I have much more sympathy for the people whose content gets taken down because of others' malice. Shouldn't they be protected too? In the real world, there is such a thing as a vexatious litigant, somebody who uses the legal system to harass and intimidate others and whose actions are entirely without merit. In Scotland, there is a register of such people and they aren't allowed to use the legal system for anything without a judge's approval. Perhaps we need an online equivalent, because while mocking Straight Pride UK is all very amusing, Oliver Hotham was lucky: not every vexatious takedown goes viral. For every vexatious takedown we know about, there are dozens that we don't.